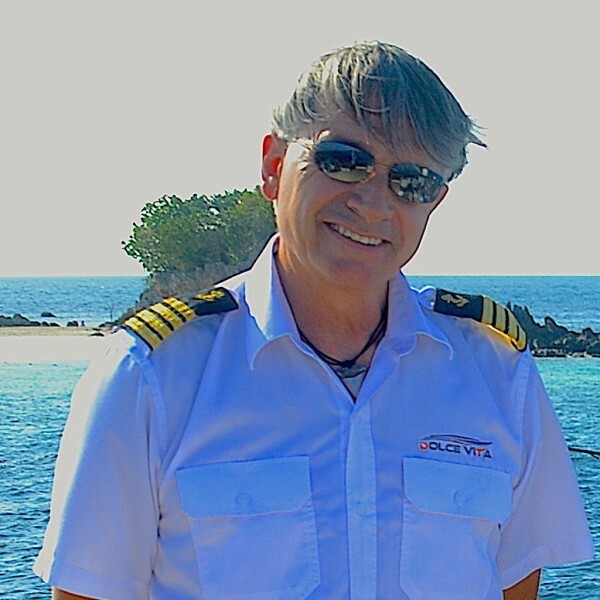 Captain Danilo started his carrier in 1980 as First Mate on a 24 meters Luxury Motor yacht in the Maldives . 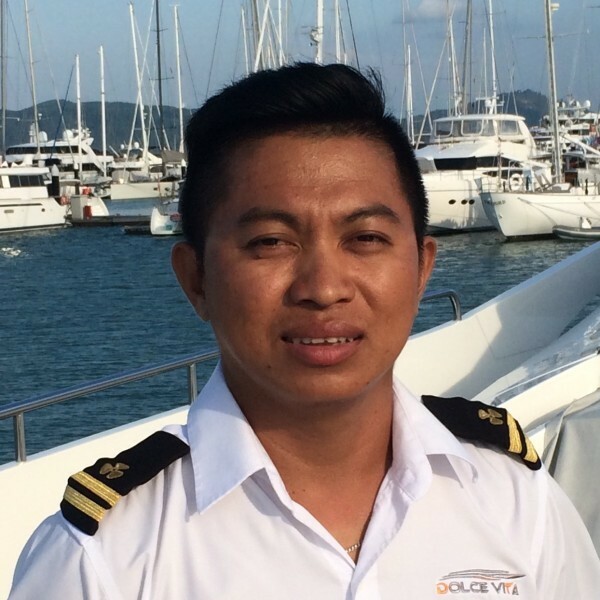 Back to Mediterranean in 1985 he obtain his MCA Yacht Master 200GT License and has been working as Captain on Charter Yacht ever since , sharing his time between the Mediterranean Sea in Summer season and Thailand during the winter season . He also worked as Convergence Navi for Ferreti Group and has extensive engineering experience . Danielo multiple certificate: PADI Diving Instructor, PADI first Aid + EFR instructor , STCW95 Advance fire fighting and "Life Guard Certificate . Gold medal award, progressive culinary professional with over 15 years of experience in various culinary fields that include well-established hotels, upscale restaurants, bakery, private catering, store front retail, cooking show and food magazine. Comprehensive knowledge of international cuisine and highly adaptable in all cuisine type with an innovative approach in developing impressive menu while maintaining a high quality standard and effective cost control. Bachelor Of Social Work, 1990. Food & Beverage Operations Diploma, 1991. Mark worked on several Yacht such as S/Y Orient Pearl ( 90 Ft ) , S/Y Silverlining ( 105 Ft ) , MY Sea D , MY Northern Sea amongst others . Mark is graduated from the Galileo Marine Academy : STCW Certificate of Completion for Personal survival, Fire Prevention, First Aid , Personal Safety and Social Responsibility . 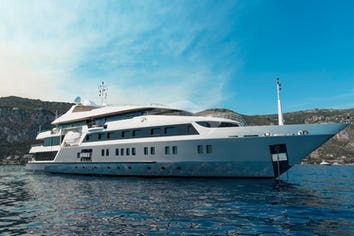 After reviewing several Yacht Options for our planned Yacht Cruise through the Andaman Sea, our Yacht Broker „MGM Yachts“ from Florida, USA located and booked the brand new charter vessel „Dolce Vita“ for us. The vessel is capable of providing space for max. 8 people, residing intwo queen and two twin cabins. We were only a party of 6 (3 couples), so the layout of the lower deck was adapted to a three-bedroom option (2 queen, onetwin) with an additional TV salon in the bow of the lower deck. All the details that we negotiated upfront appeared to be 100% in line with the experience (incl. our preselection of food and beverages, transfers and financial terms and conditions). We all (the three couples) arrived in Phuket with different flights, sothree transfers needed to be arranged from Phuket Airport to the Phuket YachtHaven. No need to mention, that all couples were picked up in time and style and brought safely to the embarkation dock. Our Yacht Crew greeted us personally from the stern of Dolve Vita inofficial uniform and with an open and very friendly yet very professionalattitude. Captain Dani, together with the deck hand and engineer as well as our chef and our mate Yoong gave us immediately the feeling of joining a familiarand very cozy environment aboard. Yoong, our stewardess, a 39 year old Thai Lady is probably the most humble and peaceful professional stewardess we ever got to know. She has already 9 years of experiences on yachts, her English is fluently and her manners and behaviour is simply „WOW“! 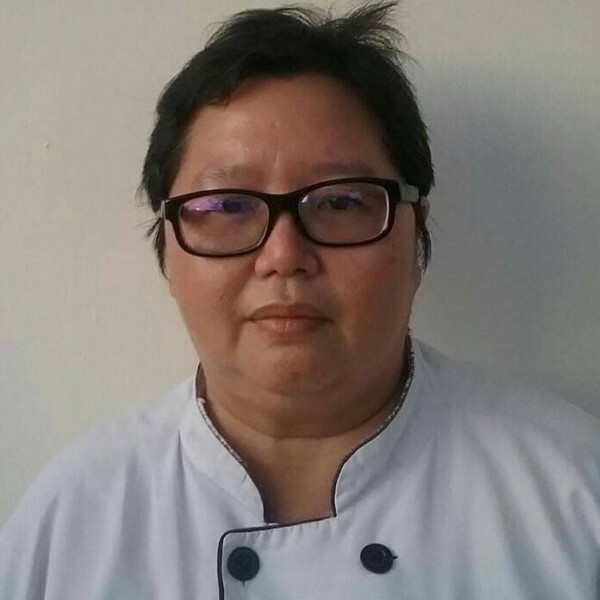 Phuntarik, a female Thai Professional Chef joined Dolce Vita upon areferral from Captain Dani, who knows her and her skills since many years.Great Choice! What a character! After greeting us all during the embarkation she literally „disappeared“ in her kitchen (lower deck) and from this time onwe were pampered with a culinary firework every single day. As we all are solely into healthy, light and tasty food without any restrictions we already let the crew know in advance, that our menus are not about how much but about taste, diversity and presentation. During the 7 days on board we were truly surprised every single day with amazingly prepared and tasty creations from„Magic Phuntarik“. Chin the deck Hand as well as the Thai engineer were accompanying us on our trip taking careof all technical issues aboard and being our helping hands for preparing thetoys for fun and piloting the tender whenever we wanted to go ashore. Both individuals fitted perfectly in the entire crew profile, being very professional, intelligent, smart, extremely friendly and helpful and from what we could observe, they understand very well their position and tasks when itcomes to support the captain in manoeuvring the vessel or anchoring for thenight. When we approached „Dolce Vita“ on the dock, we immediately discoveredthis extraordinary guise, with his „pepper and salt“ hair style, nicely tanned and in his official captains uniform, prior to introducing himself to us. Well,this is exactly how you imagine a „real“ captain of a cruise ship J. Captain Dani, Italian native from the beautiful island of Elba and meanwhile 30 years in South East Asia, is probably THE „prototype“of a charter vessel captain. From the first moment you meet him, you feeltrust, warmth and you can see and feel the unparalleled passion for nautics when you look in his eyes and follow his deliberations. After having already several charter experiences, we can truly state, that the first impression of meeting the captain is probably THE crucial moment, which defines the entire charter experience. In our case we felt from this first moment, that we are notonly in the best hands, we also felt, that we arrive as guests and we will leave as friends. This particular fact exactly happened not only with Captain Dani but also with the entire crew when we unfortunately had to end our charteron Jan 5th 2017. 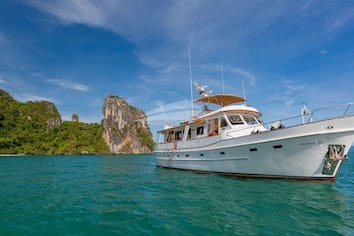 Overall we can highly recommend „Dolce Vita“ as a host for an unforgettable, stress free and very professional charter. Due to the layout ofthe boat, the privacy is a little bit limited; it is therefore absolutely crucial, that you go along well with the crew during the cruise. With Captain Dani and his entire crew, it is a no brainer! Don`t forget to try the toys, Dolce Vita provides 2 SeaBobs, one Lampuga(electric Surfboard) and various snorkel and swimming equipment. We would like to also extend our gratitude to Vincent Tabuteau, CEO of Asia Marine, who was in charge of all organizational details at the spot and the final settlement after the cruise. All happened to be exactly as proposed,without any exception. Overall we will definitely come back and choose again exactly the involved partners as stated in this review. „Dolce Vita“ will literally provide you with a „Sweet Life“ during your charter periodJ! Welcome on Board "Dolce Vita"